Setting up email distribution group allows us to send email to members of a SharePoint group. By default E-Mail Distribution List option is not available in Group Settings section of the groups. Therefore in order to setup Distribution Emails, first we need to configure incoming email settings in the central administration. In there we can enable distribution group creation by going with following selection. Select Yes for ‘Use the SharePoint Directory Management Service to create distribution groups and contacts?’ option. 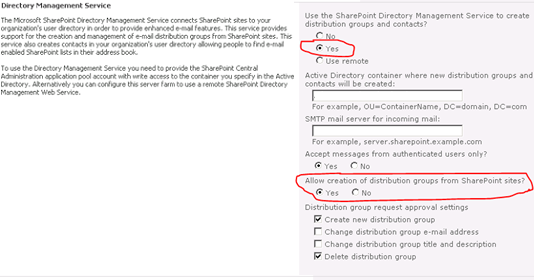 Then select Yes for ‘Allow creation of distribution groups from SharePoint sites?’ option. That’s it! If we navigate to site collection root web, E-Mail Distribution List section will appear in permission group settings. Navigate Site Settings -> Site Permissions. 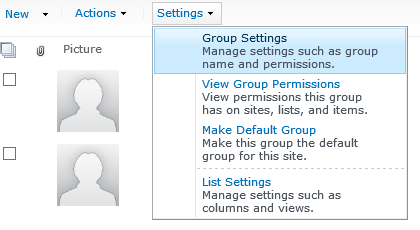 For each required user group, navigate to Group Settings. Under E-Mail Distribution List, select Yes for create an e-mail distribution group option and provide the email address for the distribution group created in the active directory. Note: All necessary Distribution groups should have being created in the active directory and proper email addresses should have being obtained to follow above steps. 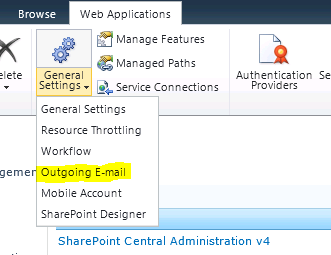 Also Outgoing E-mail should be configured on each required web application.